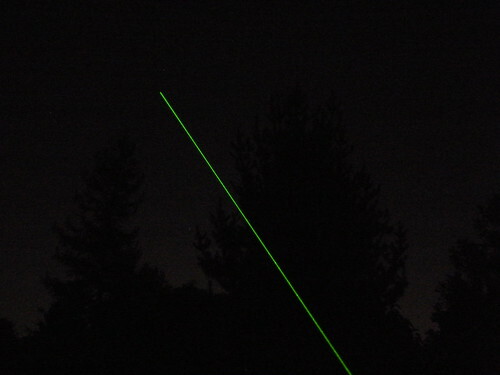 This is my Wicked Lasers "Spyder I Pro" being aimed towards the night sky. Update: I have replaced the original photo with a clearer version. The beam is also much more visible now.